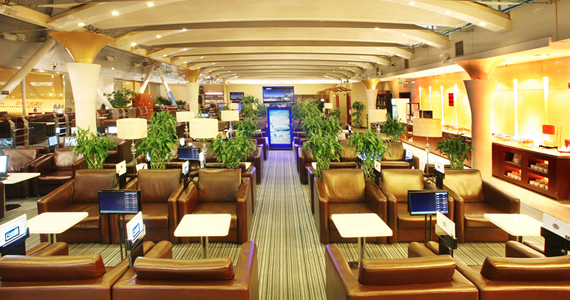 Sky Pearl Lounge is the second lounge on the right side along the horizontal elevator after the security check post. 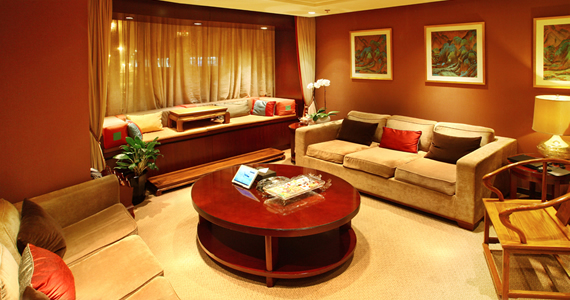 First Class Lounge is the first lounge on the left side along the horizontal elevator after the security check post. After the security check, travelers can find the spacious and bright Sky Pearl Lounge on the right side along the horizontal elevator in the departure terminal. 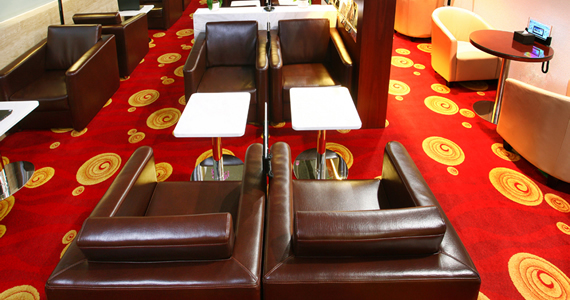 Covering an area of 707.4㎡, the lounge can hold 160 travelers to its utmost. 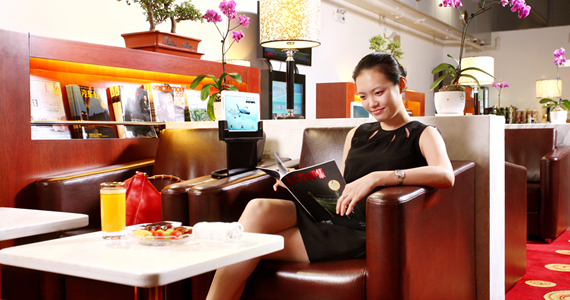 Sky Pearl Lounge is divided into a bigger "member rest area" and a smaller "business class traveler rest area". 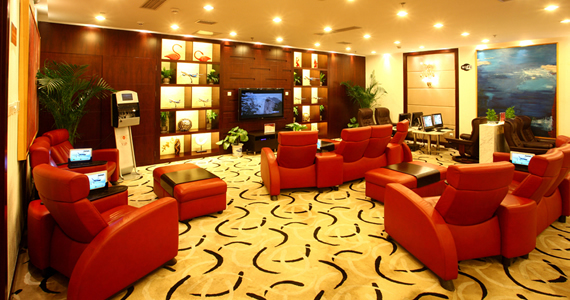 Sky Pearl Lounge is specifically composed of a service area, rest areas, a dining area, a business center, a smoking room, bathrooms and supportive areas including baggage depository, lookout front, film-watching area, massage area, internet navigation area, children's area and a collection display area. 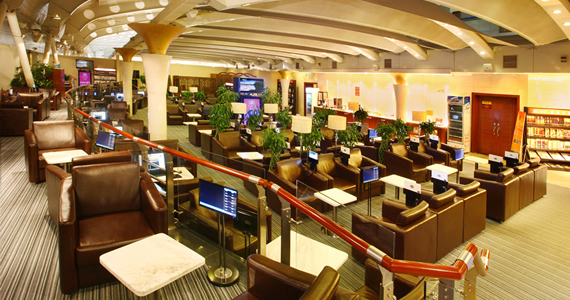 Also in the lounge, boarding alert, flight information inquiry, ticket changing, member service, business support facilities, baggage depository, buffet, entertainment, massage, wireless network access and mobile phone charging services are also available. 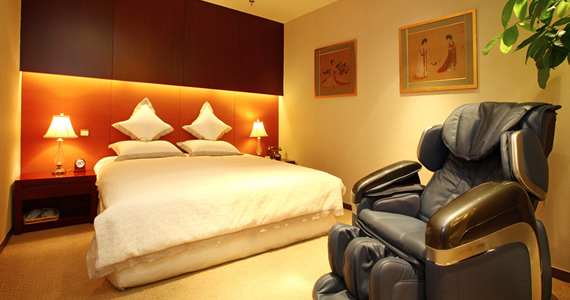 Covering an area of 313.88㎡, First Class Lounge is the first lounge on the left side along the horizontal elevator after the security check post in the departure terminal. In every independent rest area inside the spacious lounge, travelers can access to a diverse range of amenities including a public rest area, a smoking room, an internet navigation area and a baggage depository counter, as well as independent massage rooms, a dining area, a children's area, a film area, a nursing room and an all-dimensional buffet counter. As the second lounge on the left side along the horizontal elevator, VIP Lounge is designed mainly to receive VIP travelers and first-class/business-class travelers who are also members of SkyTeam Elite Plus. It occupies a floor area of 394.7㎡. We define VIP travelers as country heads, governmental heads and foreign diplomats. Comfortable and quiet, the lounge provides independent rooms, multi-function facilities, sleep rooms, shower rooms and a self-developed bookshelf. The reception desk can provide you with boarding alert, flight information inquiry, ticket changing, membership service, and business support as well as baggage depository service. In the central area, you can enjoy a buffet; watch a movie; listen to music; navigate on the internet; read a book, newspaper or a magazine; and repower your mobile phone. 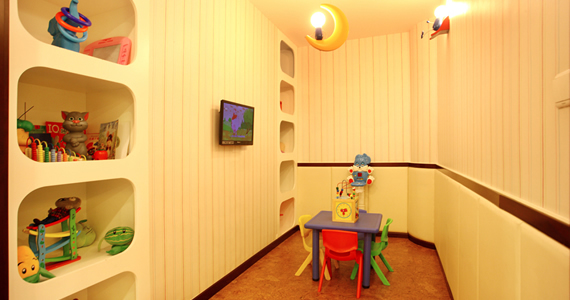 On the left side, there is a room just for smokers and passing by the smoking room, you can find a bathroom. 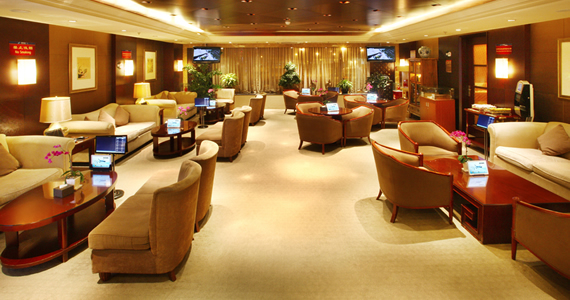 The three lounges open from 05:10 to the last flight every day.